The Transcontinental is a bicycle race across Continental Europe unlike any other. The Transcontinental is a single stage race in which the clock never stops. Riders plan, research and navigate their own course and choose when and where to rest. They will take only what they can carry and consume only what they can find. Four mandatory control points guide their route and ensure a healthy amount of climbing to reach some of cycling’s most beautiful and historic monuments. Each year our riders cover around 4000km to reach the finish line. The TCR was set up by respected and revered ultra-distance adventure cyclist Mike Hall. His vision was that the TCR deliver two important elements to the participants, an accessible adventure of a lifetime packed into a two week ‘holiday’ and a well run and delivered race that accurately accounted for the participant’s routes time and rule compliance. The ‘dot watchers’ - the remote spectators who watch the rider’s ‘dots’ via the online tracking map - were first mobilised by the TCR to become fact finders scrutinising the rides of a selection of riders gathering information on their routes for safety, rule compliance and self sufficiency. We believe that the differentiator in adventure racing should be the aptitude, athleticism and attitude of the individuals, not the budget. Unsupported racing is intended to be accessible and affordable to all, just like the bicycle itself. As such the race is more than a measure of leg power, it’s a journey of self sufficiency and a challenge of fortitude and competence. Being alone and self reliant is part of the test and part of the adventure. Besides you don’t need an entourage following you when you have man’s greatest invention at your disposal. We take risk seriously at the Transcontinental Race, we work hard to ensure we evaluate and mitigate what risks we can and that we encourage the riders to have a healthy respect and take responsibility for any risks they may face. This is a solo adventure and a big part of the appeal to all our riders is the autonomy and freedoms which it entails. 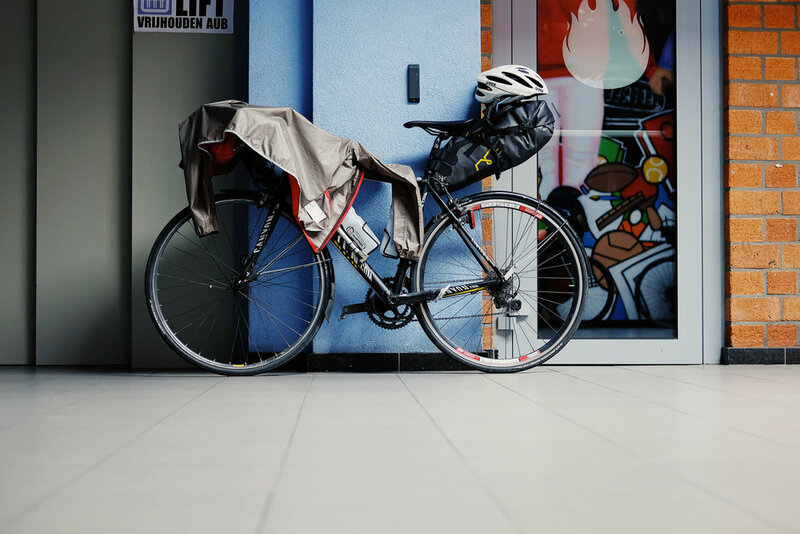 Transcontinental take robust measures to communicate to riders that the only person ultimately responsible for their health, safety and security is themselves. Lost Dot Ltd does not take responsibility for the safety and security of any of the racers taking part in the Transcontinental Race. The Rider Agreement is the contract between riders and the race organisers.